These are crullers. A little crusty on the outside, a little cake-y on the inside, and a significant part of my childhood memories. Recently I was trying to think of something I really missed from Wisconsin, and this is it. When I left in 2010 for Denver, I'd occasionally get a hankering for a cruller, and I could never find one. Oh, sure, things called crullers. 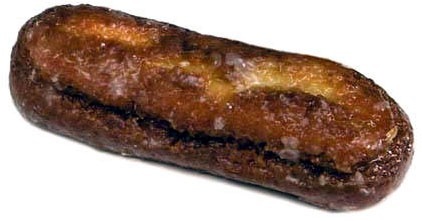 French puff pastry type things, or some twist donut, or those horrid Dunkin Stix from Little Debbie. But never anything like what I remembered. I chalked it up to Denver being Denver. Then I moved to Eugene Oregon in 2016. Still no proper crullers and no one has a clue what I'm talking about. So I did some research and it turns out that no one outside of Wisconsin knows what a proper cruller is. 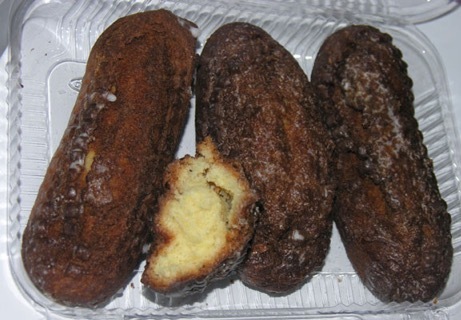 So, I miss crullers and I'm trying to figure out if my mom can ship some to me. If you visit Wisconsin, add a cruller to your list of things to do. And stop looking at me funny when I tell you there's a bubbler in the park up past the stop 'n go lights, ya know?